My latest steampunk fantasy story to be published has arrived! 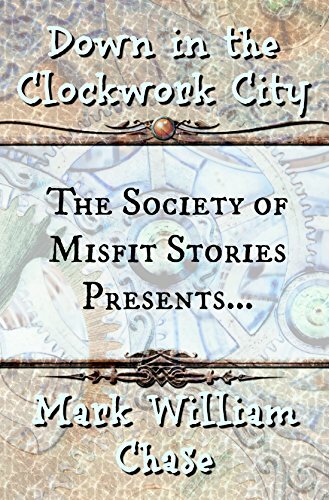 Down in the Clockwork City has been released under the Society of Misfit Stories anthology series, and is now available for Kindle download from Amazon.com. The description they gave it has a bit to be desired, but I didn’t come up with it. So far it doesn’t have any reviews, so if you read it and like it please, review away!